Haval Alberton – Haval H1 – a trendy, confident car! Haval’s H1 has become a firm favourite among South Africa’s trendy urbanites and with its sporty fresh looks and features, it represents very affordable crossover attitude. We review the H1 at Haval Alberton. This sassy confident car makes it possible to drive both in the urban jungle and on gravel roads, due to its raised ground clearance of more than 180mm. The H1 is very compact with a length of approximately four metres and comes with stylish 16-inch alloy wheels. The squared-off front-end features fog lamps and Daytime Running Lamps, and skid-plates in a contrasting silver hue are fitted at the front and rear. Black cladding around the sills and wheel arches, as well as practical roof rails round off the SUV look. The H1 is available in a variety of colours, including Titanium White, Sky Silver, Jazz Red and Fashion Orange. 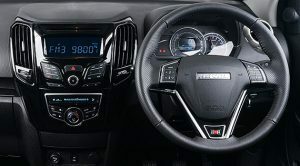 Moving into the interior of the H1, it boasts a sporty dashboard, which includes an instrument cluster with overlapping dials and an integrated digital speedometer display. Comfortable black cloth seats and silver trim accents on the facia and doors create an upmarket feel. The H1 also has a comprehensive list of features, including air-conditioning, electric windows/mirrors and an audio system with USB and auxiliary plug-in support, as well as Bluetooth capability. The H1 is more compact than other small crossovers, yet it remains a practical daily car, with good head- and legroom. The boot measures approximately 310 litres and the rear seat splits 60:40 to increase cargo space. The H1 is powered by a 1.5 litre VVT-I engine that delivers 69kW of power and 130Nm of torque to the front wheels via a smooth five-speed manual transmission. Depending on driving style, the H1 gets an average of 7.2 litres/100km with a claimed top speed of 170 km/h. The H1 has a wide-ranging safety package, which includes dual front airbags, ABS and EBD, among others. Front and rear fog lights also increase visibility in poor weather conditions, while security is provided by a standard immobiliser, with the further convenience of a car locating function and remote-control central locking. 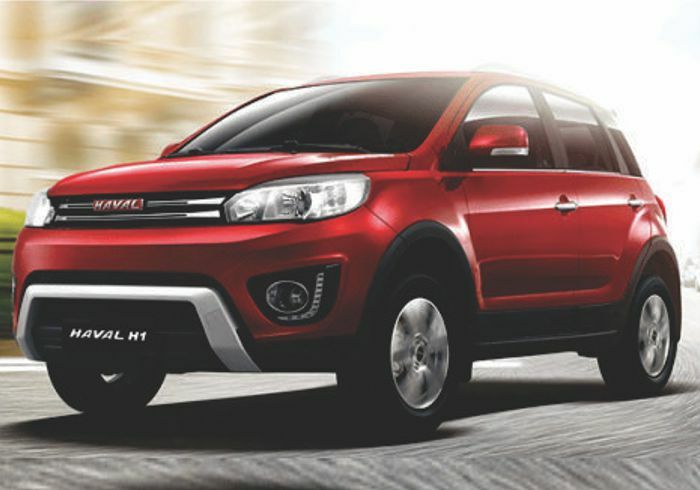 Visit Haval Alberton or contact them on 011 724-3000 for more information about the Haval H1, or to book a test drive.